Success! Ramadhani from Kenya raised $591 to fund ear surgery. 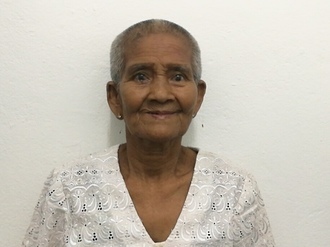 Ramadhani's treatment was fully funded on April 15, 2019. Ramadhani is a boy from Kenya. He has two siblings and lives with his grandmother. He is in third grade. Ramadhani has an ear perforation that has affected his hearing ability. This has in turn impacted his academics. Now, it has been recommended that he undergo a tympanoplasty. If not treated, Ramadhani risks total hearing loss. Surgery is scheduled for February 12 and will cost $591. Ramadhani's case was submitted by Joan Kadagaya at African Mission Healthcare Foundation in Kenya. Ramadhani was submitted by Joan Kadagaya, Curative Medical Support Program-Partner Representative at African Mission Healthcare Foundation, our medical partner in Kenya. Ramadhani's profile was published to start raising funds. Ramadhani was scheduled to receive treatment at AIC Kijabe Hospital. Medical partners often provide care to patients accepted by Watsi before those patients are fully funded, operating under the guarantee that the cost of care will be paid for by donors. Ramadhani's treatment was fully funded. Awaiting Ramadhani's treatment update from African Mission Healthcare Foundation.